The Trixie Wicker Dog bed is a vintage style bed with a lowered entrance and traditional woven edges. Naturally coloured, the wicker basket can be padded out with blankets or a small oval mattress to make it a cosy sleeping spot for your pet. 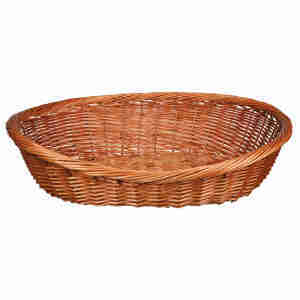 Great item, brought another one as very pleased with the basket and the dogs love it.